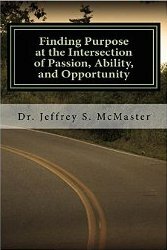 → Order your copy of “Finding Purpose at the Intersection of Passion, Ability, and Opportunity,” available on Amazon (also available for Kindle). Click here to order a copy. Would you please help spread the word? My advertising budget pays for the cost of the free use of social media and nothing more; therefore I am relying entirely on “word of mouth” to make people aware of the contents of this blog and the availability of my recently published book. If you find either or these resources to be helpful or valuable, would you help spread the word? → I am now available for professional consulting services! E.L.M. Consulting Services can provide professional services for analyzing and assessing your Educational organization, your Leadership, and/or your Ministry; for teaching and training those within your organization through workshops and seminars; and for assisting you in creating and communicating a plan and prescription for future growth, change, and development. 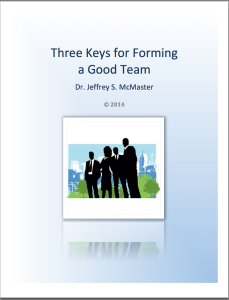 Contact me at jeff.mcmaster@commonsenseleaders.com for more information. What Do You Think . . . happens when we don’t get the whole story? At times, it is important to be able to react quickly and decisively, but it is also often easy to respond too quickly to information or circumstances without first getting the whole story. We have a knee-jerk reaction, but with incomplete information or misinformation, which can then result in an action or response that we regret. I know that I have done this, and it usually creates a mess with other people that I have to clean up. What about you? In your experience, what happens when you respond to something without first listening, asking questions, and getting the whole story? Please share in the comment box below. 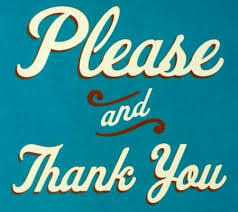 The second verse is James 1:19, which says, “So then, my beloved brethren, let every man be swift to hear, slow to speak, slow to wrath.” As many grandmothers have shared with their grandchildren, “there’s a reason why God gave us two ears and one mouth; we should listen twice as much as we speak!” This verse has been a constant reminder to me to be careful to listen first, although in the process of my growth as a leader, it was a lesson that sometimes came the hard way. In one particular organization in which I worked, I made a spectacular blunder that loudly and clearly drove this lesson home to me. I was leading a small group of event planners in planning for one specific event, and everyone in the group (except me) had been involved in that organization for several years. As the leader, I felt that I should take charge of presenting good ideas, so I began the first meeting by telling the rest of the group all of my ideas. My enthusiasm (combined with the fact that I had not yet established trust or relationship) resulted in the rest of the group shutting down while giving verbal support to my ideas. However, over the next few days I began to hear from others that the entire committee was frustrated with me, and the event was now in jeopardy. I had to go back to the committee and apologize for speaking without listening, and then I had to make it safe for them to talk. When I did that, I learned so much about the history and tradition associated with that event, and could see that I had been on the verge of causing damage to the culture. I needed to take the time to listen, understand history, and get the whole story. The added bonus is that when you take time to learn the whole story, you are much more likely to be able to discern if it is true or if it is not. In Deuteronomy 18:21-22, Moses provided some direction to the people of Israel to help them understand how to discern this, when he said, “And if you say in your heart, ‘How may we know the word that the Lord has not spoken?’— when a prophet speaks in the name of the Lord, if the word does not come to pass or come true, that is a word that the Lord has not spoken; the prophet has spoken it presumptuously. You need not be afraid of him.” He made the point that if you take the time to observe and get the whole story, beginning to end, you can tell if it is true or not. 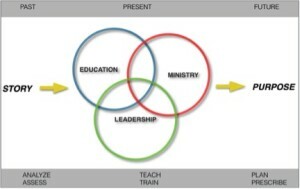 It is easy for a leader to assume that leadership means taking charge and giving direction. However, I believe that these principles from Scripture give us a very different picture: leadership should be characterized by listening. Ask questions. Make it safe for people to share. Validate. And make sure you get the whole story before you react.